1846 The United States declares that a state of war with Mexico exists: Subsequent US military interventions or incidents in Mexico: 1859, 1866, 1870, 1873, 1913, and 1914–1917. 1881 North Africa: Under the threat of invasion, the Bey of Tunis Muhammad III as-Sadiq signs the Treaty of Bardo to make Tunisia a French protectorate. During the First World War, Wolff was commissioned an officer in 1918 and served in the Hessian Infantry Regiment. Lieutenant Wolff was one of the youngest officers ever commissioned, having received his rank at the age of 17, and had also been awarded the Iron Cross First Class. In 1920, Wolff left the now demobilized German Army and became a [minor] businessman. 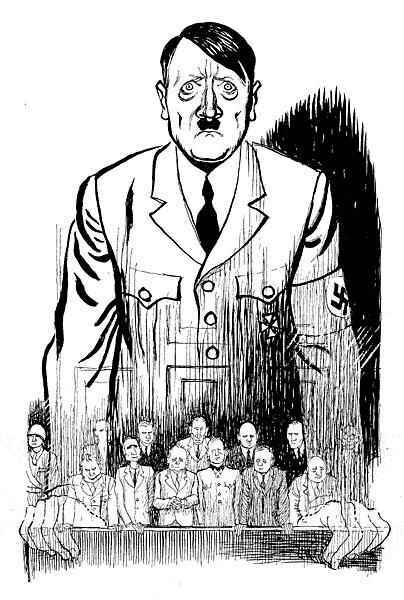 In 1931, drawn by Nazi ideals of a reborn and again powerful Germany, Wolff joined the Nazi Party and also applied for membership in the SS. He was accepted as a member in July of 1931 and assigned the SS number 14235. Wolff served in an SS mustering formation in Munich, quickly rising through the enlisted ranks and being commissioned an SS-Sturmfuehrer (Lieutenant) in February 1932. When the Nazis came to power in 1933, Wolff was promoted to SS-Captain and briefly served as an SS military liaison officer to the German Army. In June of that year, Wolff was personally recruited by the SS Commander Heinrich Himmler to head the new office of the Reichsfuehrer's Personal Staff. Wolff became Himmler's adjutant on June 15, 1933 and received an unprecedented number of promotions through his new position. By the start of 1937, Wolff had risen to the rank of SS-Gruppenfuehrer (Lieutenant General) and was considered as third in command of the entire SS. 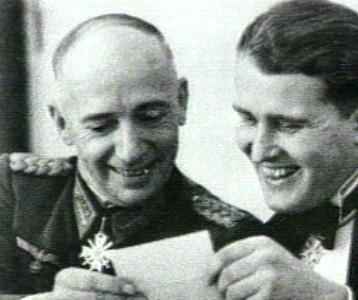 During the Second World War, Wolff remained in his job as Himmler's adjutant, but soon began losing authority and power as disagreements developed with Himmler and also Wolff began to fall under the shadow of the number two man in the SS, Reinhard Heydrich. In 1942, Wolff was made a full SS-General (Obergruppenfuehrer) but dismissed by Himmler as Chief of Staff to the Reichsfuhrer. Wolff, however, did manage a comeback as Adolf Hitler personally granted him equivalent General's rank in the Waffen-SS and assigned him as an SS adjutant to the Italian Government in 1943. 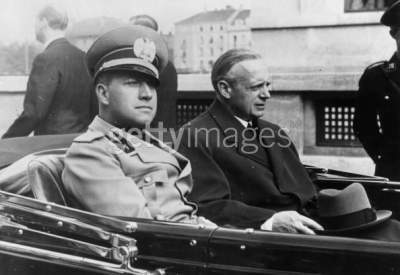 When Italy surrendered to the Allies later that year, Germany occupied the country and Wolff became the Supreme SS and Police Leader of Italy. At the start of 1945, Wolff (who was now acting military commander of Italy) extended secret negotiation requests to the Allies and thus hastened the end of the war in Italy by surrendering the country to the Allies on May 2, 1945. Wolff was taken into American custody, although was allowed to escape trial as an SS-General and leading Nazi, by providing evidence against his fellow Nazis at Nuremberg, in 1946. 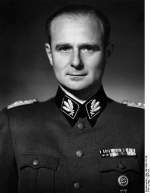 In 1947, Karl Wolff retired to private life, however the West German government soon arrested Wolff for war crimes in 1949, sentencing him to four years in prison. Wolff was again arrested in 1964, after evidence presented at the Adolf Eichmann trial, in Israel, had revealed that Wolff had organized the deportation of Italian Jews to the Nazi death camps in 1944. Wolff was sentenced to fifteen years in prison but only served half of this term and was released in 1971. 1913 Igor Sikorsky flies the S-21 "Grand" the World's First successful four-engine plane. The Emperors of Germany and Austria are struck off the roll of Knights of the Garter. Lusitania: Secretary of State Bryan sends a note to Germany demanding disavowal of the attack upon the Lusitania and immediate reparations. Unfortunately, Bryan then proceeds to inform the Austrian Ambassador that the note "means no harm, but had to be written in order to pacify excited public opinion." The German Foreign Minister, Arthur Zimmerman, quickly learns of Bryan's indiscretion and claims to have called the American 'bluff.' Bryan is later forced to resign and the Germans never make a disavowal or pay reparations. See: June 8. In view of recent acts of the German authorities in violation of American rights on the high seas which culminated in the torpedoing and sinking of the British steamship Lusitania on May 7, 1915, by which over 100 American citizens lost their lives, it is clearly wise and desirable that the government of the United States and the Imperial German government should come to a clear and full understanding as to the grave situation [that] has resulted. Battle of Gorlice-Tarnow: Alexander von Krobatin (Austro-Hungarian Minister of War): From May 2nd to 12th the prisoners taken numbered 143,500, while 100 guns and 350 machine guns were captured, besides the booty already mentioned. We suppressed small detachments of the enemy scattered in the woods in the Carpathians. Near Odvzechowa the entire staff of the Russian Forty-eighth Division of Infantry, including General Kornilov, surrendered. The best indication of the confusion of the Russian Army is the fact that our Ninth Corps captured in the last few days Russians of fifty-one various regiments. The quantity of captured Russian war material is piled up and has not yet been enumerated. I say to the House as I said to ministers who have joined this government, I have nothing to offer but blood, toil, tears, and sweat. We have before us an ordeal of the most grievous kind. We have before us many, many months of struggle and suffering. You ask, what is our aim? I can answer in one word. It is victory. Victory at all costs—Victory in spite of all terrors—Victory, however long and hard the road may be, for without victory there is no survival. Let that be realized. No survival for the British Empire, no survival for all that the British Empire has stood for, no survival for the urge, the impulse of the ages, that mankind shall move forward toward his goal. 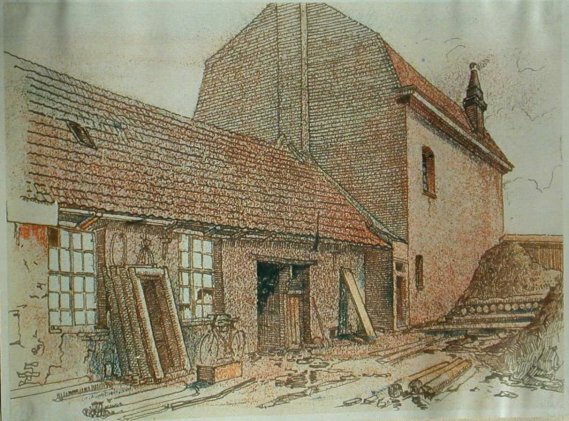 Sedan: The Germans establish a bridgehead at Sedan, long considered the gateway to France. 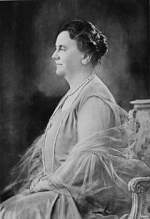 Netherlands: Queen Wilhelmina and the Dutch government flee to England. Hess's injured leg is treated at Buchanan Castle Military Hospital near Drymen. It is officially announced by the National Socialist Party that Party Member Rudolf Hess, who, as he was suffering from an illness of some years standing, had been strictly forbidden to embark on any further flying activity, was able—contrary to this command—again to come into possession of an aircraft. On Saturday, May 10, at about 6:00 PM, Rudolf Hess . . . set off on a flight from Augsburg, Bavaria, from which he has not yet returned. A letter left behind shows by its confusion traces of a mental disorder, and it is feared that he was a victim of hallucinations. The Fuehrer at once ordered the arrest of [his] adjutants . . . who alone had knowledge of these flights and did not, contrary to the Fuehrer's orders, of which they were fully aware, either prevent or report the flights. Under these circumstances it must be assumed that Party Member Hess either jumped from his aircraft or met with an accident. Stalin's face and behavior showed signs of his anxiety, but he rarely shared his anxiety with the rest of us or even asked our opinion about what should be done. I remember that when Hess flew to England and the Germans put out the canard that he had fled, I said to Stalin, "The Germans are hiding something. I don't think Hess's flight to England is really an escape from Germany at all. I think he must actually be on a secret mission from Hitler to negotiate with the English about cutting short the war in the West to free Hitler's hands for the push east." Stalin heard me out, and then said, "Yes, that's it. You understand correctly." He didn't develop his thoughts on the subject further. He just agreed. We had long since become accustomed to the practice that if you weren't told something, you didn't ask. From an examination of the papers left behind by Rudolf Hess, it seems that he harbored the delusion that, by a personal approach to English acquaintances, he could still bring about an understanding between Germany and England. In point of fact, a report from London states that he has bailed out of his plane over Scotland, near the place he was seeking, and has been found there, apparently injured. Rudolf Hess, who for years had been known to suffer from severe pain, has lately had increasingly frequent recourse to all kinds of cures, to hypnotists, astrologers, and so forth. How far these persons are to blame, for creating mental confusion in Hess, is being investigated. But it is also conceivable that Hess has been deliberately lured into a trap by the English. The whole nature of [Hess's] action confirms the fact—mentioned in the first announcement—namely, that he suffered from delusions. He knew, better than anyone else, the numerous peace proposals put forward honestly by the Fuehrer. But apparently, he has deluded himself [that], by personal sacrifice, he could prevent those developments, which would end only with the complete destruction of the British Empire. Hess, whose duties, as we all know, lay exclusively within the Party, had no clear idea about this venture, still less of its consequences. At this point, Hess tried to make my flesh creep, by emphasizing that the avaricious Americans had fell designs upon the Empire. Canada would certainly be incorporated into the United States. Reverting to [the subject of] Hitler's attitude, [Hess] said that, only as recently as May 3rd—after his Reichstag speech—Hitler had declared to him that he had no oppressive demands to make of England. The solution, which Herr Hess proposed, was that England should give Germany a free hand in Europe, and [that] Germany would give England a completely free hand in the Empire, with the sole reservation, that we should return Germany's ex-colonies, which she required as a source of raw materials. I asked, in order to draw him on the subject of Hitler's attitude to Russia, whether he included Russia in Europe or in Asia. He replied, 'In Asia'. I then retorted that under the terms of his proposal, since Germany would only have a free hand in Europe, she would not be at liberty to attack Russia. Herr Hess reacted quickly, by remarking that Germany had certain demands to make of Russia, which would have to be satisfied: either by negotiation, or as the result of a war. He added, however, that there was no foundation for the rumors now being spread, that Hitler was contemplating an early attack on Russia. I then asked about Italian aims, and he said that he did not know. I replied that it was a matter of some importance. He brushed this aside, and said that he was sure that Italy's claims would not be excessive. I suggested that Italy scarcely deserved anything, but he begged to differ. Italy had rendered considerable services to Germany; and besides, England had compensated defeated nations like Romania, after the last war. Finally, as we were leaving the room, Herr Hess delivered a parting shot. He had forgotten, he declared, to emphasize that the proposal could only be considered, on the understanding that it was negotiated by Germany with an English [sic] Government other than the present British Government. 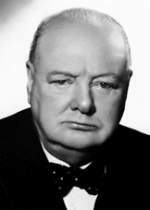 Mr. Churchill, who had planned the war since 1936—and his colleagues, who had lent themselves to his war policy—were not persons with whom the Fuehrer could negotiate. To begin with, the Reich Foreign Minister conveyed the Fuehrer's greetings to the Duce. He would shortly propose to the Duce a date for the planned meeting, which he would like to take place as soon as possible. As [to] the place for the meeting, he would probably prefer the Brenner. At the present moment, he was, as the Duce could well understand, still busy with the Hess Affair, and with a few military matters. The Duce replied that he would agree with all the Fuehrer's proposals. The Reich Foreign Minister then said that the Fuehrer had sent him to the Duce, in order to inform him about the Hess affair, and the conversations with Admiral Darlan. 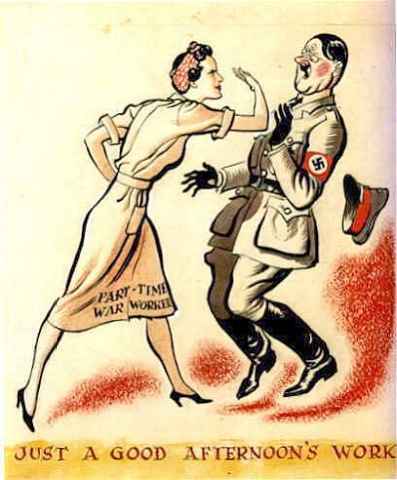 With regard to Hess's affair he remarked that the Fuehrer and his staff had been completely taken aback by Hess's action, and that it had been the deed of a lunatic. Hess had been suffering for a long time from bilious attacks and had fallen into the hands of magnetists and nature-cure doctors who caused his state of health to become worse. All these matters were being investigated at the moment, as well as the responsibility of the aides-de-camp, who had known about Hess's forbidden flights. Hess had, for weeks, carried out secret practice flights in an ME-110. Naturally, he had acted only from idealistic motives. Disloyalty towards the Fuehrer was utterly out of the question. His conduct had to be explained by a kind of abstractness, and a state of mind caused by his illness. Being sympathetically inclined towards England, he had conceived the crazy idea of using Great Britain's fascist [sic] circles, to persuade the British to give in. He had explained all this in a long and confused letter to the Fuehrer. When this letter reached the Fuehrer, Hess was already in England. It was hoped, in Germany, that he would perhaps meet with an accident on the way, but he was now really in England, and had tried to contact the former Marquis of Clydesdale, the present Duke of Hamilton. Hess quite wrongly considered him as a great friend of Germany, and had flown to the neighborhood of [the Duke's] castle in Scotland. Von Ribbentrop arrives in Rome unexpectedly. He is discouraged and nervous. He wants to confer with the Duce and me for various reasons, but there is only one real reason: he wants to inform us about the Hess affair . . . . The official version is that Hess—sick in body and mind—was a victim of his pacifist hallucinations, and went to England in the hope of facilitating the beginning of peace negotiations. Hence, he is not a traitor; hence he will not talk; hence, whatever else is said or printed in his name, is false. Ribbentrop's conversation is a beautiful feat of patching things up. The Germans want to cover themselves before Hess speaks, and reveals things that might make a great impression in Italy. 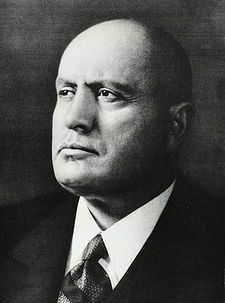 Mussolini comforted von Ribbentrop, but afterwards told me that he considers the Hess affair a tremendous blow to the Nazi regime. He added that he was glad of it, because this will have the effect of bringing down German stock, even with the Italians. In the late autumn of 1940, he told me in Augsburg that he wanted to try out new fighter planes. At first I refused, but Hess insisted and declared that his position entitled him to this, and in the end I gave permission for "the Fuehrer's Deputy" to fly the ME-110 plane. Hess, an outstanding pilot, carried out some twenty flights from the Augsburg airfield. After each flight he reported to me and my engineers what faults he had discovered in the machine, in hope that this would lead the engineers to design a special machine for the secretly planned flight to Britain. After one such flight Hess said to me, "This fighter plane is excellent, but it is only suitable for short flights. 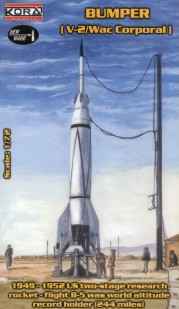 I bet that it will lose all its maneuverability if you put additional fuel tanks on the wings." Shortly after this, Hess tried the same tactics with regard to a radio set which he wanted to have greater range. In order to show that the installation of a heavier radio set did not affect the flying qualities of the machine, I had one put in. Pretending that his interest was a purely technical one, Hess gradually got us to build for him an ideal machine for the flight he had planned. I. Treatment of offenses committed by enemy civilians. 2. Guerillas should be disposed of ruthlessly by the military, whether they are fighting or in flight. 3. Likewise all other attacks by enemy civilians on the Armed Forces, its members, and employees, are to be suppressed at once by the military, using the most extreme methods, until the assailants are destroyed. 4. Where such measures have been neglected or were not at first possible, persons suspected of criminal action will be brought at once before an officer. This officer will decide whether they are to be shot. On the orders of an officer with the powers of at least a battalion commander, collective drastic measures will be taken without delay against localities from which cunning or malicious attacks are made on the Armed Forces, if circumstances do not permit of a quick identification of individual offenders. 6. The commanders of the army groups may, by agreement with the competent naval and air force commanders, reintroduce military jurisdiction for civilians in areas which are sufficiently pacified. For the area of the political administration this order will be given by the Chief of the Supreme Command of the Armed Forces. II. Treatment of offenses committed against inhabitants by members of the Armed Forces and its employees. 1. With regard to offenses committed against enemy civilians by members of the Wehrmacht and its employees prosecution is not obligatory, even where the deed is at the same time a military crime or offense. 2. When judging such offenses, it must be borne in mind, whatever the circumstances, that the collapse of Germany in 1918, the subsequent sufferings of the German people, and the fight against National Socialism which cost the blood of innumerable supporters of the movement, were caused primarily by Bolshevistic influence and that no German has forgotten this fact. 3. Therefore, the judicial authority will decide in such cases whether a disciplinary penalty is indicated, or whether legal proceedings are necessary. In the case of offenses against inhabitants it will order a court-martial only if maintenance of discipline or security of the forces call for such a measure. This applies, for instance, to serious offenses originating in lack of self-control in sexual matters or in a criminal disposition and to those which indicate that the troops are threatening to get out of hand. Offenses which have resulted in senseless destruction of billets or stores or other captured material, to the disadvantage of our forces, should as a rule be judged no less severely. The order to institute proceedings requires in every single case the signature of the judicial authority. 1. Every commissioned officer of the units under their command is instructed promptly and in the most emphatic manner on principles set out under I, above. 2. Their legal advisers are notified promptly of these instructions and of verbal information in which the political intentions of the High Command were explained to the commanders-in-Chief. When Hess fled to Great Britain in May 1941, Bormann's ascent to power quickened. He took over as head of the Parteikanzlei, Hitler's Chancery. In 1942, he was appointed head of the party secretariat and of the party staff, with the rank of Reichsminister. In 1943, he became Hitler's personal secretary. In October 1944, Bormann was appointed commander of the Volkssturm (People's Army), a mass of German civilians established as the Allies were about to invade the Reich. As Hitler's secretary, Bormann [became] involved not only with party affairs, but also with the domestic policies of Germany. He was active in fields such as the pillage of art objects in occupied countries in Eastern Europe. He controlled questions of security in the regime, legislation, appointments and promotions. He created a system of spies in the army, in which he would promote young officers to survey the political attitudes of older fighters. He was a rabid fighter against the Christian churches, stating in a confidential 1942 memo that Nazism was incompatible with Christianity and the power of the churches "must absolutely and finally be broken." Bormann was an extreme racist who was the "zealous executor" of Nazi persecution and extermination of the Jews. He ordered the deportation of Jews to the East, at first concealing the killings as the "transfer of Jews to labor." He later stopped hiding the massacres and signed a decree on October 9, 1942, stating that "the permanent elimination of the Jews from the territories of Greater Germany can no longer be carried out by emigration but by the use of ruthless force in the special camps of the East." His July 1, 1943, decree gave Adolf Eichmann and the Gestapo (the German secret police) complete power over Jewish affairs. Bormann's hatred was not confined to Jews. He called the Slavs a "Sovietized mass" of sub-humans and wrote in an August 19, 1942 memo, "The Slavs are to work for us. Insofar as we do not need them, they may die. Slav fertility is not desirable." He expanded a slave labor program for both Slavs and Jews. 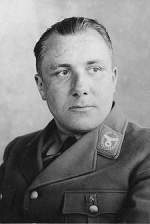 Toward the end of the war, Bormann personally witnessed the suicides of Goebbels and his family, and finally the suicide of Hitler himself. Before his death, Hitler ordered Bormann to save himself and flee the bunker. Some say that Bormann tried to negotiate with the Soviets after Hitler's death, but realized that negotiations were fruitless. In the end, he escaped the bunker on April 30, 1945 and, after that, his fate is unclear. Hitler's chauffeur Erich Kempka claimed that Bormann was killed trying to cross the Russian lines by an anti-tank shell, which caused the tank he was in to blow up. Kempka, who was temporarily blinded, said he saw Bormann's body. Hitler Youth leader, Artur Axmann, believed that Bormann killed himself, and claimed to have spotted the body on May 2, 1945, in the Invalidenstrasse in Berlin. In 1946, it was announced that Bormann was in a north Italian monastery. He was also rumored to have escaped via Rome to Argentina or Paraguay, and was sighted in Italy, Brazil, and Chile. On October 29, 1945, Bormann was indicted in absentia by the International Military Tribunal at Nuremberg. He was sentenced to death in absentia almost a year later, on October 1, 1946. In December 1972, excavations dug up two skeletons near the Reichstag in West Berlin and, in early 1973, a West German forensic expert used dental records, to determine that one was almost certainly that of Bormann. In early May 1973, the DNA was matched to that of an 83-year old relative of Bormann. The other skeleton was identified as Hitler's doctor, Ludwig Stumpfegger. The two men had apparently been found by a Russian soldier, and had taken cyanide. In April 1973, a West German court formally pronounced Bormann dead. Kranzbuhler: What was the relationship between the Naval Operations Staff and the Supreme Command of the Armed Forces, the OKW? Wagner: The OKW passed on the instructions and orders of Hitler, who was the Supreme Commander of the Armed Forces, regarding the conduct of the war; usually, as far as naval warfare particularly was concerned, after examination and review by the Naval Operations Staff. General questions of the conduct of the war were decided without previous consultations with members of the Naval Operations Staff. Kranzbuhler: In which manner were the preparations of the High Command of the Navy for a possible war carried out? Wagner: Generally speaking, they consisted of mobilization preparations, tactical training, and strategic considerations for the event of a possible conflict. Kranzbuhler: Did the Naval Operations Staff during your time receive an order to prepare for a definite possibility of war?